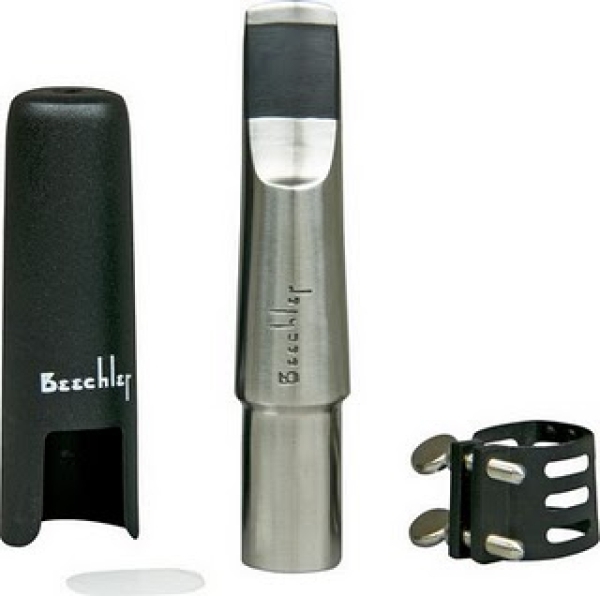 The Beechler Bellite mouthpiece is cast from the finest surgical steel. The material is resistant to corrosion, breakage, or change in playing characteristics due to environmental considerations. The hardness of this metal provides an ultra fast response time to bring out the brilliance of the overtone series. The Bellite Alto and Tenor feature a medium high baffle and open chamber which supports a brilliant contemporary sound as well as a subdued ballad sound. The Bellite Soprano and Baritone have an open baffle and open chamber. Ligatures and caps are provided with all Beechler Bellite models.